A landlocked country, Swaziland is bordered by Mozambique to the northeast and by South Africa everywhere else. Swaziland, known for its friendly people, is one of the only three monarchies left in Africa. The nation is very proud of its traditions and is staunchly committed to safeguarding its rich cultural, social and natural heritage. Swaziland is the smallest country in the Southern Hemisphere and is also one of the most laid-back. The Swazi people take pride in their heritage and have frequent festivals celebrating their beliefs and culture. These festivals are flamboyant affairs with much singing and dancing and extravagant costumes. A progressive and active attitude towards wildlife conservation has meant that the country boasts a host of excellent national parks. Black and white rhino, elephant and, more recently, lion have been reintroduced into the collection of national parks and game reserves. Hiking, horse riding, rafting and cycling through many of the parks allow up-close and personal game viewing of a huge variety of wildlife. Mixed farming is the main source of industry, with cattle and sugar being farmed commercially. A large portion of the country is not suitable for agriculture, as it is too hot during the day and too cold at night, but this region is used for forestry. 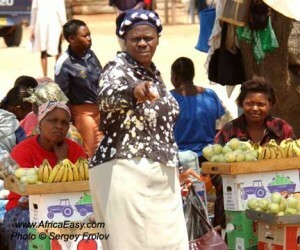 © 2011 Africa Easy . All rights reserved.